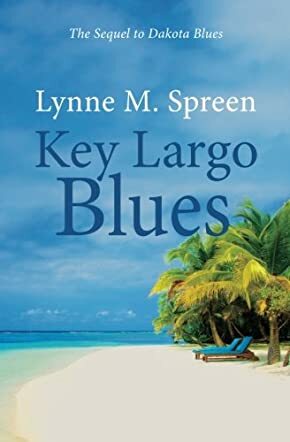 Key Largo Blues: The Sequel to Dakota Blues (Karen Grace) by Lynne M. Spreen is a compelling novel that explores social issues and follows one woman’s struggle to come to grips with problems in her life. The story takes off from the previous book, where the protagonist traversed challenges that built her confidence in making choices and in believing in herself. Now, she reconnects with the CRS Ladies at a campground in Florida. Broke and left with very meager resources, she is looking forward to rebuilding her life again, betting on a unique business opportunity. Can she pull it off with the distractions and challenges that come in the form of friends? It is interesting to watch her navigate the challenges, with friends asking more of her time, a young girl who needs refuge, and a business that could end in catastrophe at any moment. This is the first book I have read from Lynne M. Spreen and, although it is a sequel, it reads beautifully as a standalone novel, thanks to the author’s storytelling skills and her ability to provide backstory without distracting readers. Karen Grace is a compelling character, well-executed, and one that readers who are traversing midlife challenges will connect with easily. Lynne M. Spreen has a great gift for prose, sophisticated plot, and character. The setting is beautifully depicted in the story and it comes out clearly through the colorful prose. The writing features social commentaries, great dialogues, and strong conflict, and these are elements that make the story real to readers. Key Largo Blues is a fascinating story with unforgettable characters.